The Witching Hour Sessions – 05/08/2017. The Breeders are an American alternative rock band formed in 1988 by Kim Deal of the Pixies and Tanya Donelly of Throwing Muses. Their first album, ‘Pod’ (1990), received widespread critical acclaim. Kurt Cobain said that ‘Pod’ was one of his favourite ever albums and that it had a major influence on Nirvana’s sound. After the recording of the album Kim returned to The Pixies however in 1993 The Pixies split up giving Kim more time to concentrate on The Breeders. Kim asked her sister Kelly would she take over from Tanya (who was in the process of forming Belly) on guitar. 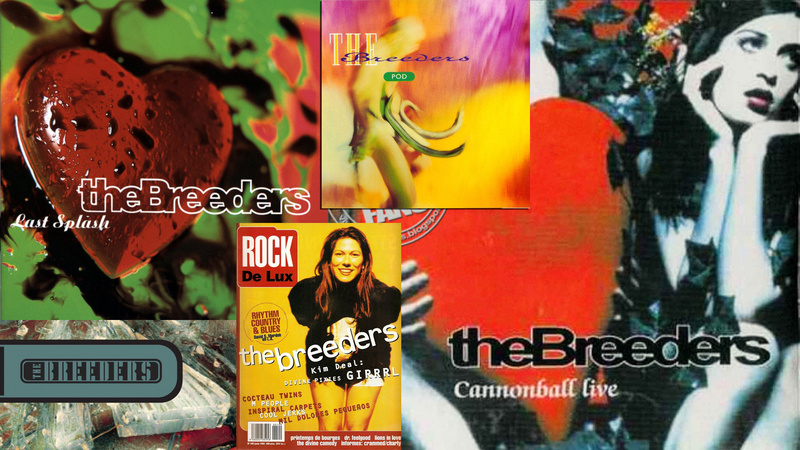 In 1993, the Breeders recorded their second album. ‘Last Splash’ to widespread acclaim and commercial success. Three singles were released from the album, including “Cannonball”, which made it to No. 2 on the Billboard chart. The band took a break in 1994 that lasted longer than anyone anticipated and didn’t release their 3rd album until 2002 with a 4th arriving in 2008. Rumours of a 5th album have so far been unfounded. Uploaded by katamariman on 2010-07-30. Released in 2008 on 4AD. The Breeders are Kim Deals, from the Pixies, band. She plays with her twin sister,Kelley on this album. It’s their 4th studio album and first in 6 years. This album left me a little perplexed. It was getting all sorts of rave reviews when it came out, so I checked it out. Above Info courtesy of Wikipedia.